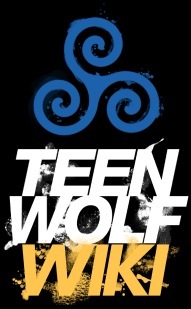 On Teen Wolf, the wendigo is a man-eater species of shapeshifter. Wendigos is driven by their hunger for human flesh and tissue in order to function and survive. According to Algonquian Native American folklore, if a person was convicted of eating human flesh, they would develop an insatiable craving for more to eat and would be cursed to live as a wendigo. Wendigos first appear in Season 4. A teenage wendigo Sean Walcott, appears in 4x03 - Muted. Sean's family, his parents, David and Christina, and older brother Michael were a stable, well hidden family of wendigos in Beacon County until all four were murdered by the astomi assassin, the Mute. Another named Patrick Clark is about to feed upon and savage an innocent woman before being imprisoned at Eichen House. In Season 5, Donovan Donati is converted into a chimera with the traits of a wendigo by the Dread Doctors. First and foremost, a wendigo is ruled by their insatiable hunger for human tissue. When wendigos feed, give themselves over to their cravings, they will very likely abandon any rationality they might have, becoming animalistic, gluttonous, and unpredictable. Once they are satiated, they will regain and re-conform to their human mental faculties. If hungry enough, a wendigo will instinctively feed on anyone within their grasp despite any morals or better judgement they might have. Sean Walcott, a teenage wendigo, who was fearing for his life after the Mute killed his family, fled for help instead of fighting back. However after an entire day without feeding, Sean was so overcome with hunger that he indiscriminately killed and fed on a sheriff's deputy without a second thought. He then tried to attack Melissa McCall and Liam Dunbar, trying to kill them and spurned Scott McCall's offers of help. Despite their notoriety and hunger, wendigos are capable of civility and making moral decisions. The Walcott family were shown to be stable and (mostly) law-abiding citizens who even owned a pet cat. They kept a hidden refrigerated meatlocker stocked with corpses that they used to sustain themselves, supposedly obtained from a morgue or a mortuary. This seemingly indicates that as long as wendigos feed regularly they will be able to keep their cravings in check and coexist peacefully with their neighbors, and blend in with human society like the next mature supernatural though not all of them are of this mindset. A wendigo primarily appears in human form. As a shapeshifter, when they transform, they sport double rows of scissor fangs and their eyes glow a simmering white. Likewise, they experience alterations to their voices, which become high and when they feel threatened a wendigo will growl as well as hiss. A wendigo has enhanced strength, reflexes and endurance that is seemingly level to that of a regular shapeshifter, though superior compared to a human being. Sean Walcott was able to face off, go par-to-par with a werewolf. Wendigos have heightened senses. Like a werewolf, they have an acute sense of smell that they can track down their prey and determine their location. Donovan Donati was able to track down Stiles Stilinski as displayed when the chimera could determined the latter's location and sneaked up on him. Because of their dietary requirements, wendigos have a similarly enhanced sense of taste, that they can differentiate the different flavors present in their victims; even the emotions of their live prey. Before displaying his strength, however it is notable that Sean Walcott had only just consumed a considerable amount of human tissue. By contrast, Patrick Clark had not yet fed on his victim, and when engaged in melee combat with Alan Deaton, a regular human, he was overpowered then subdued by Deaton's hand-to-hand expertise. This indicates that wendigos can only be as strong by supernatural standards right after they've fed, their intake of human tissue presumably fuelling their paranormal stamina. Another weakness of a wendigo is that unlike most supernatural creatures, they do not possess a regenerative healing ability. Sean Walcott was besting Scott just when the Mute assassin embedded a tomahawk in his back and he died only moments later. Like other shapeshifters, wendigos can be warded off, imprisoned and weakened by mountain ash. A number of patients at Eichen House who are wendigos whom were all well kept under control. "These vicious supernatural creatures were an unwelcome discovery among the native people of the new world. They are known to have an uncontrollable appetite for human flesh which leads them to kill despite any better judgment they might possess. Sneaky creatures, wendigos can maintain a human appearance while hiding multiple fanged teeth (similar to kanimas) behind their lips. However, when in their true form, Wendigos' eyes shimmer with a white glow. While there may be a tactical strike known to kill these supernatural cannibals, among the tribes who have been most affected by Wendigos, it is yet unknown to us."